We offer a full range of Hyde Park property management services tailored to you as an investor, homeowner, or landlord. We have an extensive portfolio of single family homes, townhouses, condos, and apartments in the Hyde Park area. 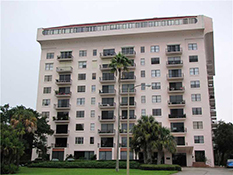 Hyde Park is an historic and upscale area adjacent to the University of Tampa and Downtown. The neighborhood’s history began in the 1880s when railroad financier Henry B. Plant built the first bridge across the Hillsborough River at Lafayette Street (now John F. Kennedy Boulevard). The first house in the neighborhood was built by James Watrous in 1882 at 1307 Morrison Avenue. Growth occurred rapidly when a street car line was put in on Swann Avenue and Rome Avenue—the reason both of these streets are wider than others in the neighborhood. Old Hyde Park Village is the heart of upscale shopping, high-end boutiques, restaurants/cafes, and a CineBistro movie theatre. Bayshore Boulevard marks the eastern boundary of the neighborhood. The street is known for its scenic, gently curving greenway and views of the water and skyline. It holds the record as the world's longest sidewalk (4.5 miles) and is widely used for recreation and exercise. The 3-mile bike lane, a linear park, and the Bayshore Greenway Trail provide scenic views of urban Tampa and the water. 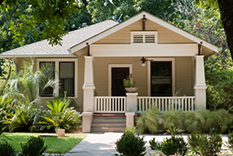 Many large and historic homes line the road, and it is annually used for the Gasparilla Invasion Parade and The Gasparilla Children's Parade. Adjacent to Old Hyde Park is SOHO, a multi-faceted entertainment district in the middle of the neighborhood where many of the region's top-rated bars, nightclubs, boutiques and restaurants are located. It begins at Howard Avenue south of Kennedy Boulevard and terminates at Bayshore. Its name is derived factually since the district centers around South Howard Avenue.